Where did the images come from? I’ve not posted for a while having been on holiday been dragged around potential wedding venues, not always a major chore when the venues include Fountains Abbey and Gibside. I did however manage to get away long enough to check out the new Northern Spirit Exhibition at the Laing Art Gallery in Newcastle Upon Tyne. It was a good exhibition and has already been reviewed by the Museums Journal so I won’t recover old ground. There were a couple of features that touch upon my special interest of all things social and digital though. Firstly, and I didn’t take a picture of this as it was against Tyne & Wear Museums photography policy, there was digital access on touch screen devices which provided more information about the objects on show. However the major thing I was impressed at was a projector of images just outside the exhibition. 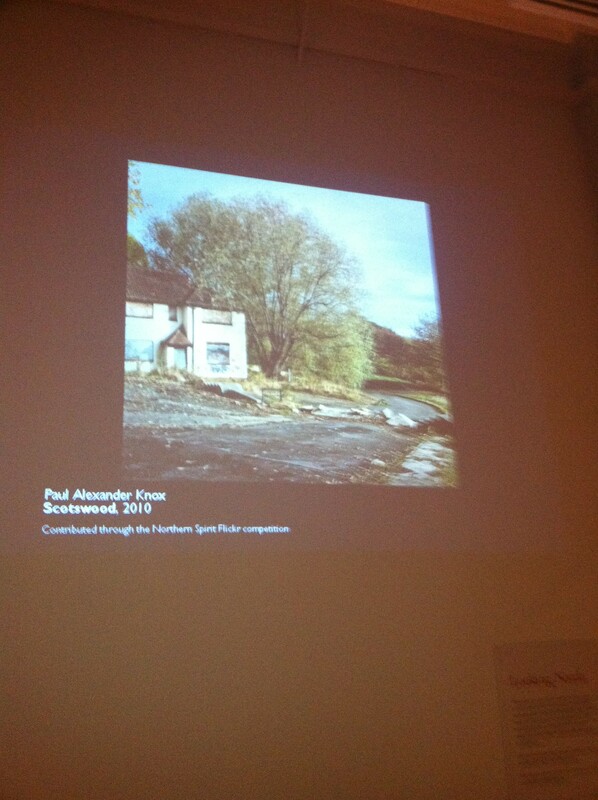 The projector was showing images which had been collected via flickr as a competition. 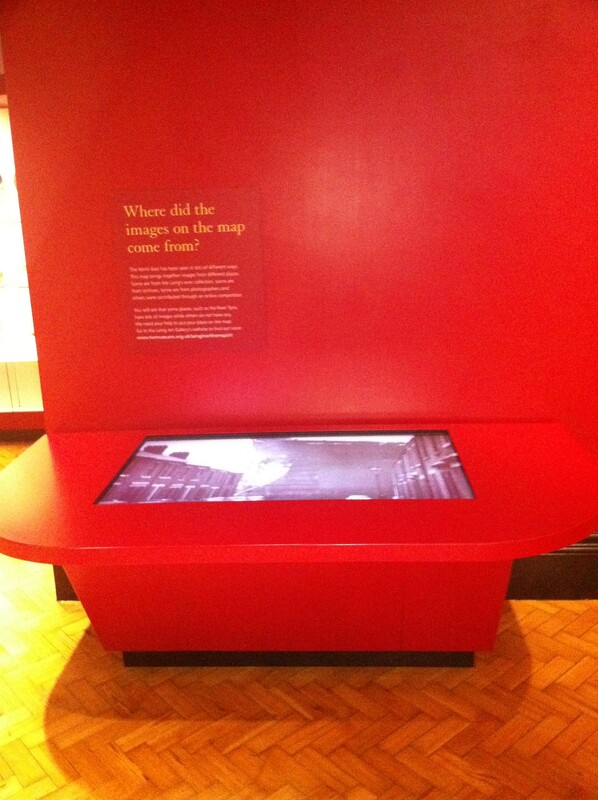 There was also a touch screen showing a map allowing people to click on locations and view the images. What was most interesting about the projected images was how long people stood around looking to see if they knew where it was. I think it was a fantastic example of a linked up approach with use of social media and a real world presense. 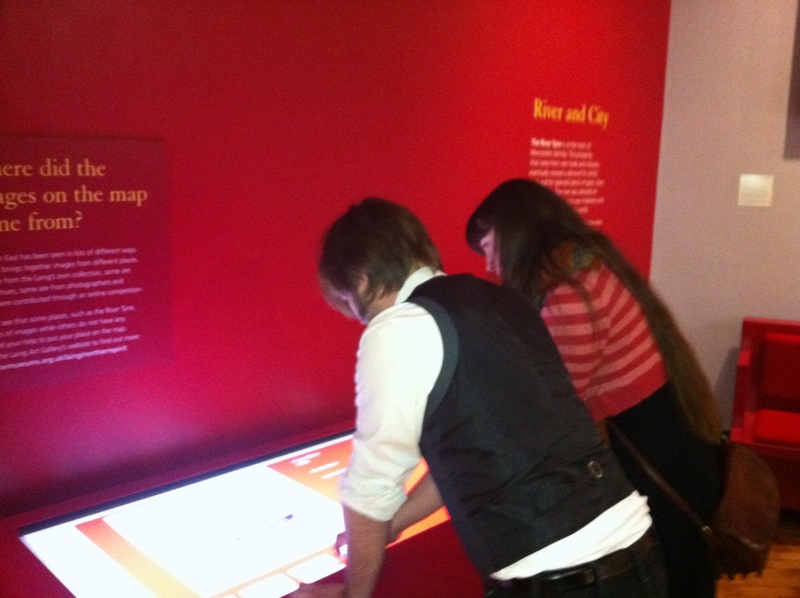 There was certainly a real sense of dialouge and user interaction, which really impressed me.